A memorial service for Jon Noreen will be held at 2:00PM, Saturday, February 9, at Our Savior’s Lutheran Church in Albany. A visitation will take place at 1:00PM until the time of service. A Celebration of Life at Shady’s reception hall will follow the service. Jon died unexpectedly at his home on Friday. Arrangements are being made by the Miller-Carlin Funeral Homes. Jon was born October 18, 1951 in St. Paul to Clarence “KY” and Darlene (Sherburn) Noreen. He graduated from Edina High school and attended Mankato State University and earned a degree in Education. He married Lynette Kretchman on July 31, 1982 in Bloomington. He taught and coached football and basketball at the Elgin-Millville High School before moving to Albany in 1987, where he taught Fine Arts and coached the Girls Basketball Team. 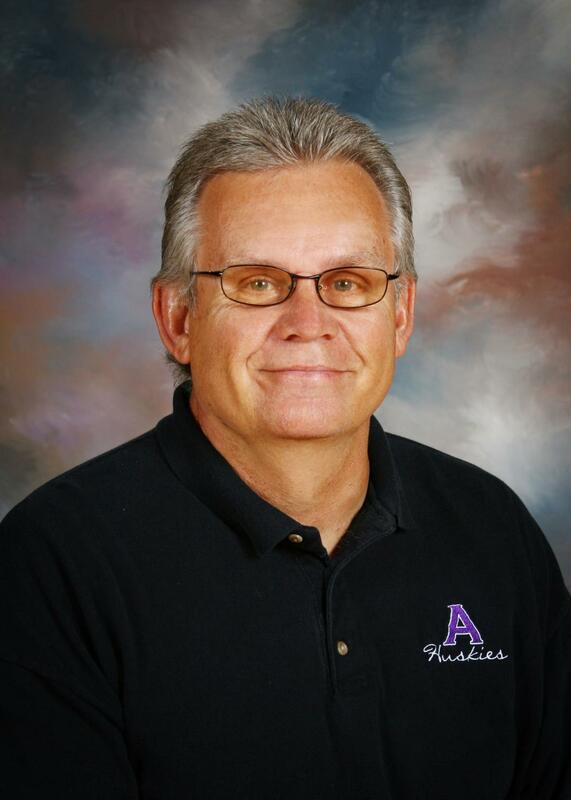 He was the head coach for the Albany Girls Basketball Team for 26 years where he had a record of 476 – 186. He led his teams to 15 west central Conference Championships, 11 sub-section Championships, four section Runner-ups and seven State Tournament appearances, winning the state championship in 2008. During his 32 years of coaching basketball, he’s been named MGBCA Section Coach of the Year three times. During the summers, Jon would travel to Australia with boys and girls basketball players to play in an international basketball tournament. Jon’s teams won the Down Under hoops Classic three times in the 12 years of going to Australia. In 2010, Jon was inducted into the Minnesota Girls Basketball Coaches Hall of Fame. Jon retired from Albany in 2011 then returned for another year of teaching. In 2016, he was named the Head Girls Basketball Coach at St. Cloud Technical and Community College. Jon bred and trained labrador retrievers and he owned “Gunnars Kennel” in Avon. Jon was an avid hunter and fisherman. He loved spending time with his family, especially his growing number of grandchildren. Jon was excited to spend the summers fishing and boating with the grandchildren and watching them grow. A visitation will take place at 1:00PM until the time of service at 2:00PM, at Our Savior’s Lutheran Church in Albany. A memorial service for Jon Noreen will be held at 2:00PM, Saturday, February 9, at Our Savior’s Lutheran Church. A Celebration of Life at Shady’s reception hall will follow the service in Albany. Lyle and I are so, so sorry for the loss of your husband and father. Lyle and I enjoyed attending the basketball games at the University of Minnesota when John’s teams were in tournaments there. We pray for healing for all of you during this difficult time. Dear Lynette and family. You may remember I babysat the oldest children . I am in shock and so saddened this wonderful man had passed away. I have so many fond memories of my late 1980’s and 1990 with my favorite teacher. I am keeping you and the family in my prayers. It’s been along time since I was part of the Noreen’s life and my heart is broken. This is me sending my dearest regards to this wonderful family I wish I could have been there for this funeral but I’m sending prayers and my condolences out to your family. Jon Noreen was a great teacher I had in my Junior, senior years. He helped me want to accomplish the goals I have gotten myself to this day I enjoyed him as a teacher a friend, great coach and a sweet loving family. I hope you all can heal and grow stronger after all this. May Jon rest in peace as an angel watching over you all. I’m so sorry to hear that Jon passed away. And so suddenly. You must miss him very much. Please know that you, and your children are in my thoughts and prayers. I only knew Jon through at a couple of (Westphal) family gatherings: a reunion at your home in 1996 (year ?). Also, at Grampa Obed’s funeral in ’93 or ’94. Take care, Lynette. Be thankful that you have such a nice family that can help each other through this sad time. Many friends and cousins, too.